Waterfowl hunters have a unique opportunity for some fast-action shooting come September when Michigan holds its first early teal season after nearly 50 years. The seven-day, experimental season runs September 1-7. It was approved by the U.S. Fish and Wildlife Service (FWS) as a three-year trial after agency staff completed a teal “harvest assessment” that showed the population could withstand additional hunting pressure. FWS is the federal agency that establishes the legal framework for hunting waterfowl each year. Teal are one of nation’s more abundant waterfowl species, according to the FWS. Its 2014 survey of blue-winged teal breeding across North American prairies estimates the continental population at 8.5 million, similar to 2013 and 75 percent higher than the long-term average. Green-winged teal numbered 3.4 million, similar to last year and 69 percent above the long-term average. But the success of Michigan’s experimental season will depend on hunters shooting the right ducks. Only teal can be harvested – along with Canada geese. The early season for Canada geese also opens statewide on September 1. Michigan, Wisconsin and Iowa teal hunts will be evaluated by FWS to assure “non-target” duck kills don’t exceed the allowable threshold. No more than 25 percent of the kill – or attempts to kill – can involve duck species other than teal. A young hunter holds up a green-winged teal, a species that sticks around longer than blue-wings. Photo: Dave Kenyon, Michigan DNR. after FWS officials found hunters either killed too many non-target species, or attempted to do so. DNR wildlife staffers and conservation officers plan to stake out popular teal hunting areas in September using “spy-blinds” to observe and record what hunters kill and what they shoot at. Avers and others do not want a repeat of the 1960s. The early season is expected to provide additional waterfowl hunting opportunity, according to Avers. Blue-winged teal are one of the earliest to migrate south. Most leave the Great Lakes in late-August and early September. They are usually gone by the time the regular waterfowl seasons open in late September and October. “The green-wings stick around. There are plenty during the regular season, but the blue-wings start staging early,” said Nik Kalejs, biologist for the Muskegon and Grand Haven state game areas. The Grand Haven game area is one of the West Michigan areas likely to have a good population of blue-wings once the season opens. It and other teal hot-spots are identified on a downloadable map found online at the Michigan DNR website. Hunters will also need to set their watches. Goose hunting legally begins 30 minutes before sunrise, but teal hunting begins at sunrise – a safeguard put in place to help with proper identification during the experimental season. 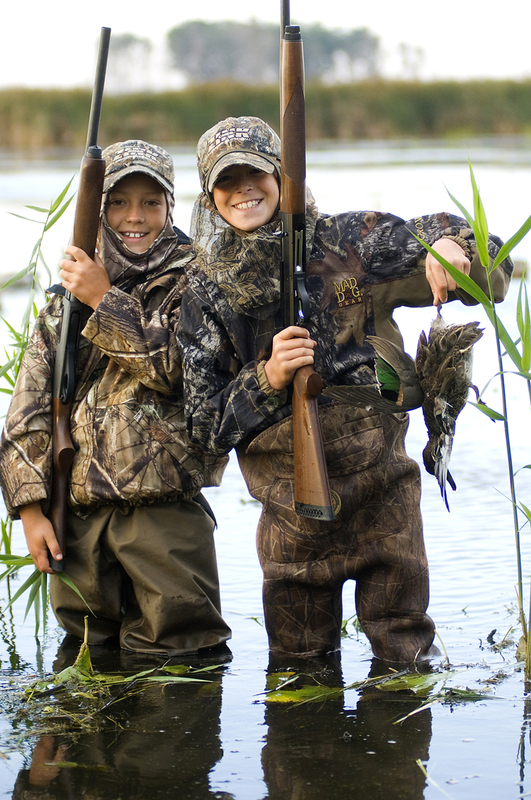 Hunters can shoot six teal per day during the season. They are also being encouraged to bone-up on duck identification. The DNR, working in partnership with the Michigan Wetlands Association and Michigan Duck Hunter’s Association Lake Effect chapter, is holding a Teal and Early Goose Hunting Workshop August 29, from noon to 4 p.m. at the Amway Grand Plaza in Grand Rapids. More details can be found at the Michigan Wetlands Association website.